Update: There is a proposal that Rotherfield Parish Council takes out a loan of around £½ million to buy the building to protect GP services in the village. Closure of the surgery would mean all patients would have to travel to Jarvis Brook for appointments. The Rotherfield Trust have pledged £100,000 towards the scheme. 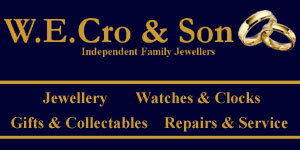 Read more on the Parish Council website: www.rotherfieldparishcouncil.co.uk. Notes from the public meeting on 4th November 2017 can be downloaded here. Decision postponed until February 2018. 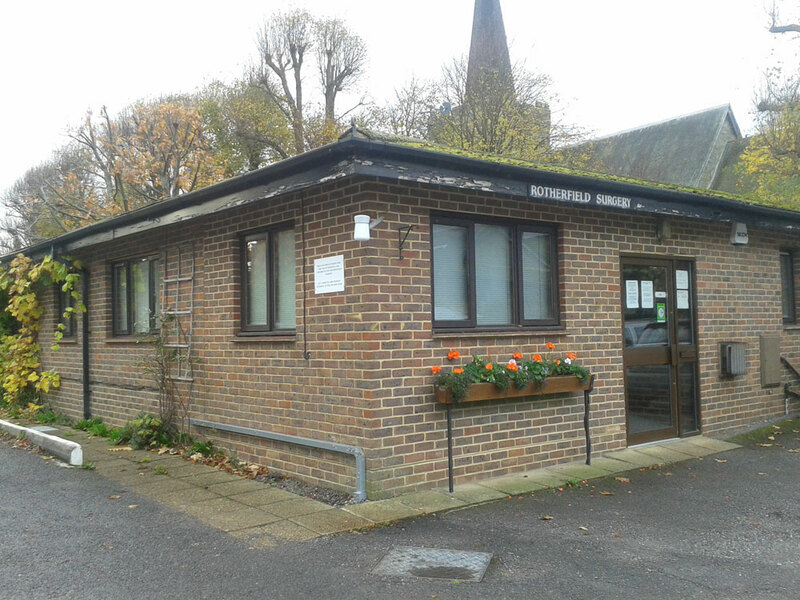 The GP Partners of Rotherfield Surgery have applied to the High Weald Lewes Havens Clinical Commisioning Group to close Rotherfield Surgery and transfer the care of all patients to the Brook Health Centre. The surgery has found it difficult to recruit new GPs over the last couple of years and have decided they are unable to continue to operate over two sites. They consider the Brook Health Centre on Crowborough Hill has more opportunities for the expansion of the existing workforce. Clinical rooms currently used by private healthcare professionals could be used by the GP Practice. a full patient engagement and consultation to take place. We have been informed by Rotherfield Surgery that they are proposing to close one of their sites as they feel this would allow them to best provide safe and continued care for their registered patients. We are aware of the challenges many practices are facing both nationally and locally in recruiting new GPs and we know this is an issue that Rotherfield Surgery is currently experiencing. Our responsibility is to ensure local patients continue to receive ongoing GP services in the best possible way and we will be considering all the options available to make sure this happens. We recognise the concern this proposal may be causing some patients and local residents and we are listening to all of their feedback, which will be taken into account before any decisions on the future of the practice is made. The Practice have arranged a pubic meeting this Saturday (4th November) at Rotherfield Village Hall starting at 1.30pm. Further details and a questionnaire will be sent to all patients before the event. Feedback and comments will be considered by the Primary Care Commissioning Committee at their next meeting on Tuesday 5th December from 10 until 11.30am. The meeting is held at their offices in Lewes. Members of the public can attend meetings are welcome to ask questions at the beginning of the meeting. Questions should be submitted at least three working days before the meeting to the Private Care Contract Manager Elizabeth Tinley elizabeth.tinley@nhs.net. Have Your Say – Add your comments below or join the discussion on Facebook. 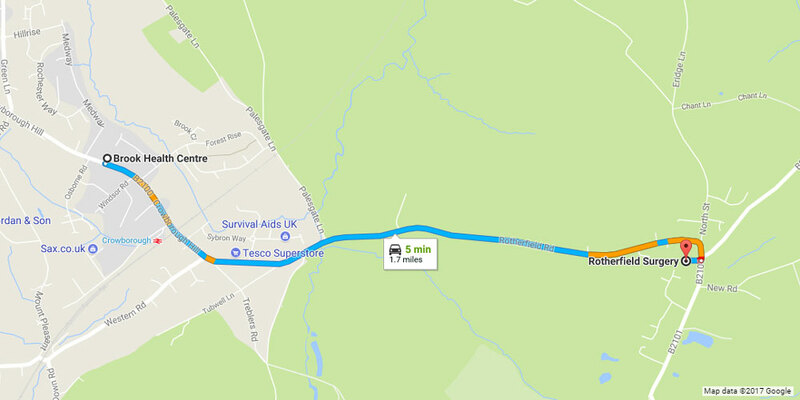 If closure: elderly residents of Rotherfield can reach Jarvis Brook by taxi? (can’t afford it); bus? (joke); walk? cycle? (at age 93? ); rely on other elderly neighbours for a lift? (oh dear, they’ve now got to work till they’re 70 to have any form of pension, so won’t be available or are already busy volunteering in many of the posts that used to be paid employment). Never mind, Rotherfield residents can die in their beds of pneumonia or whatever. That will save the NHS even more money. Why would anyone want to be a GP anyway, unless they enjoy being so stressed that they become a stroke or heart attack victim themselves? This is Britain, 2017…. Do we know why there is a problem recruiting new GPs to work in such a lovely area? Is it the salary, the price of property etc. Surely there must be something that could be done to resolve the situation ?